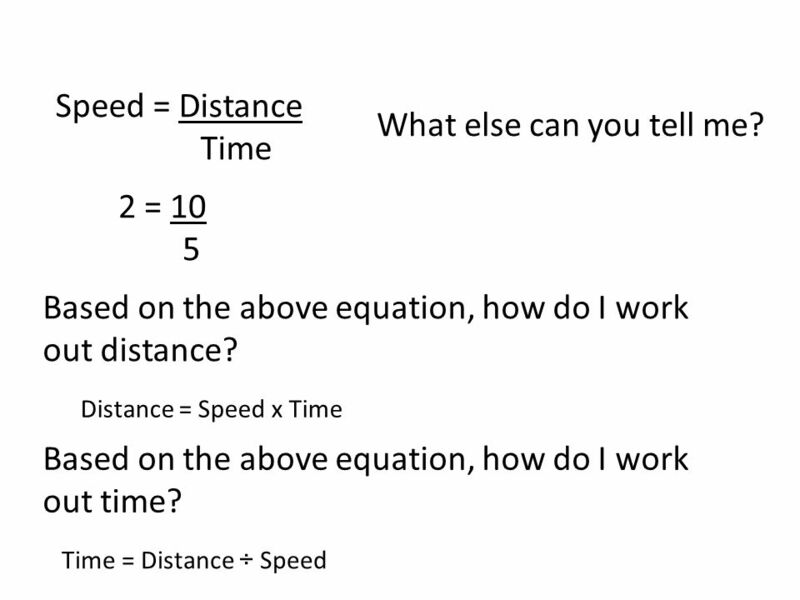 Speed STARTER TASK What is the formula for calculating speed? 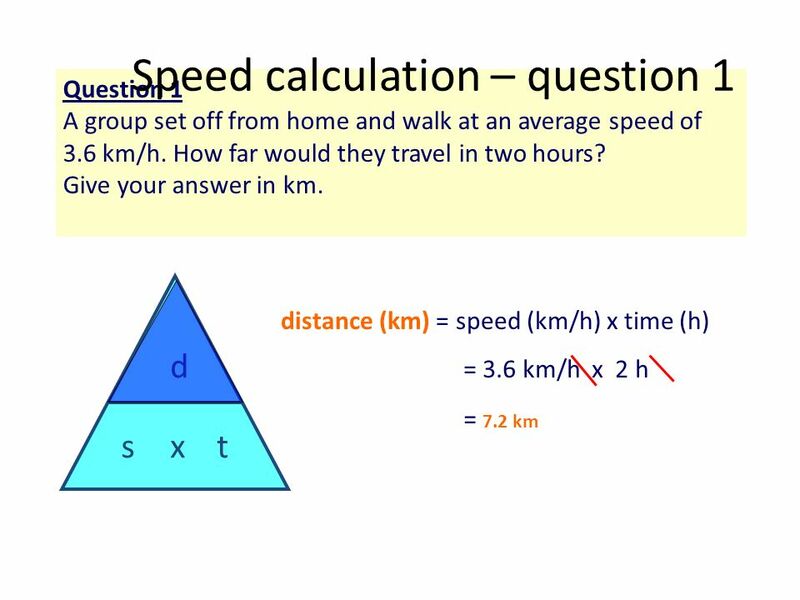 1 Speed STARTER TASK What is the formula for calculating speed? 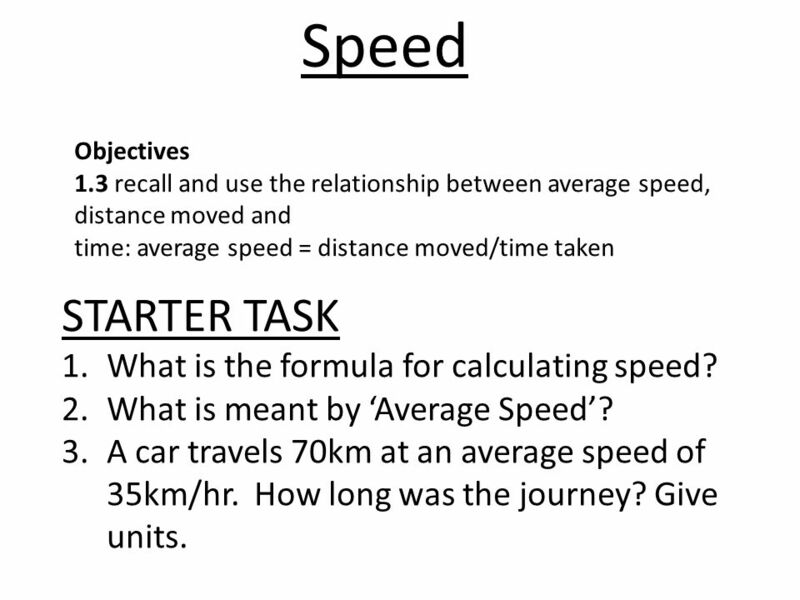 Objectives 1.3 recall and use the relationship between average speed, distance moved and time: average speed = distance moved/time taken STARTER TASK What is the formula for calculating speed? 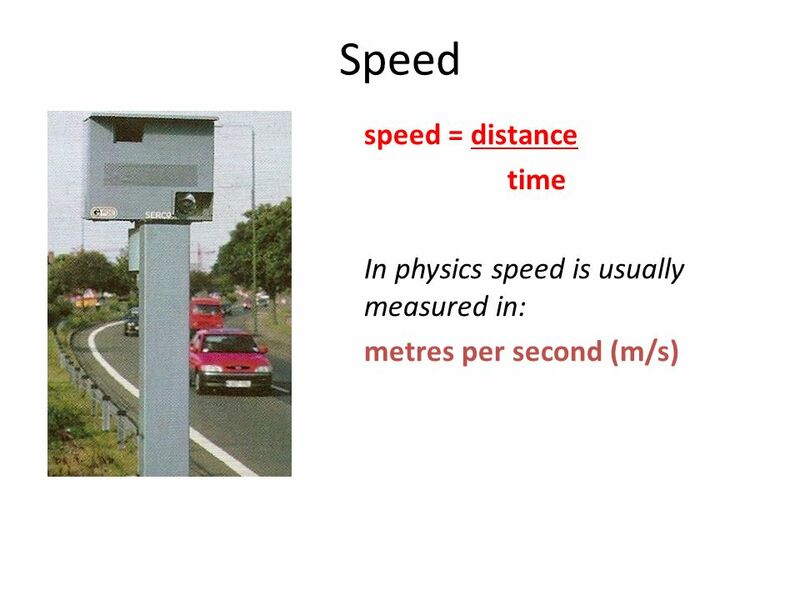 What is meant by ‘Average Speed’? 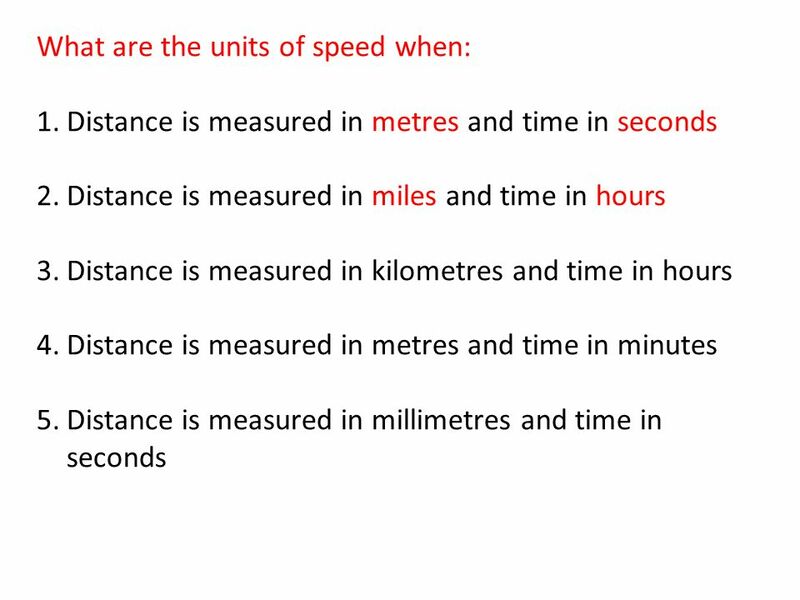 A car travels 70km at an average speed of 35km/hr. How long was the journey? Give units. 6 What else can you tell me? 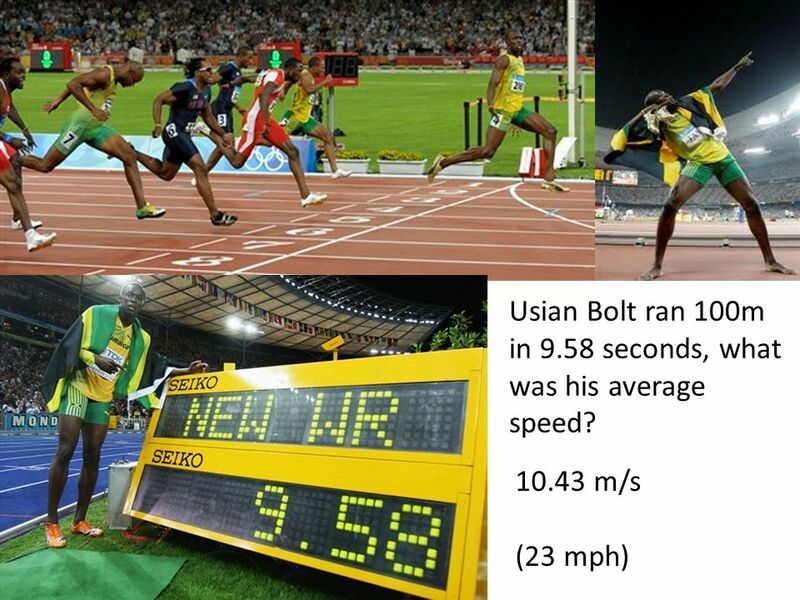 7 Usian Bolt ran 100m in 9.58 seconds, what was his average speed? 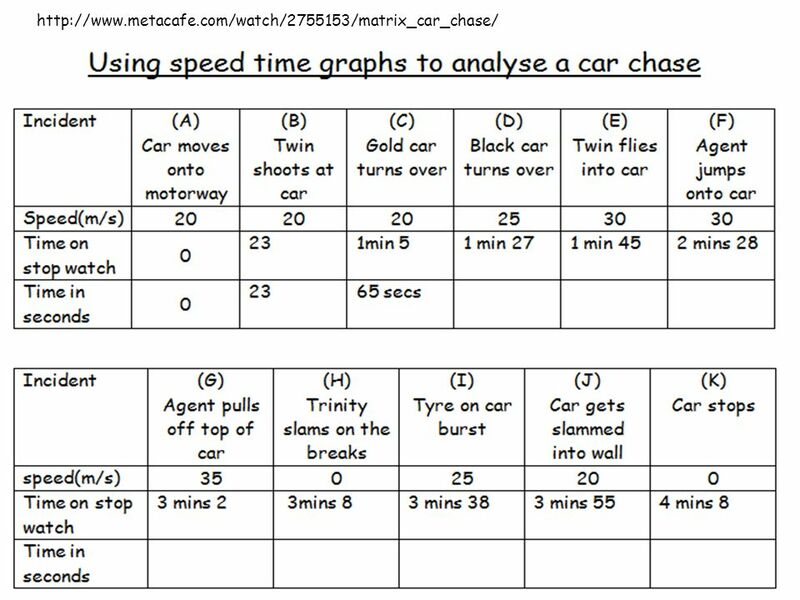 12 Activity 1 Plot these results on a speed time graph, with time on the bottom axis (the x axis) and speed on the side axis (the y axis). 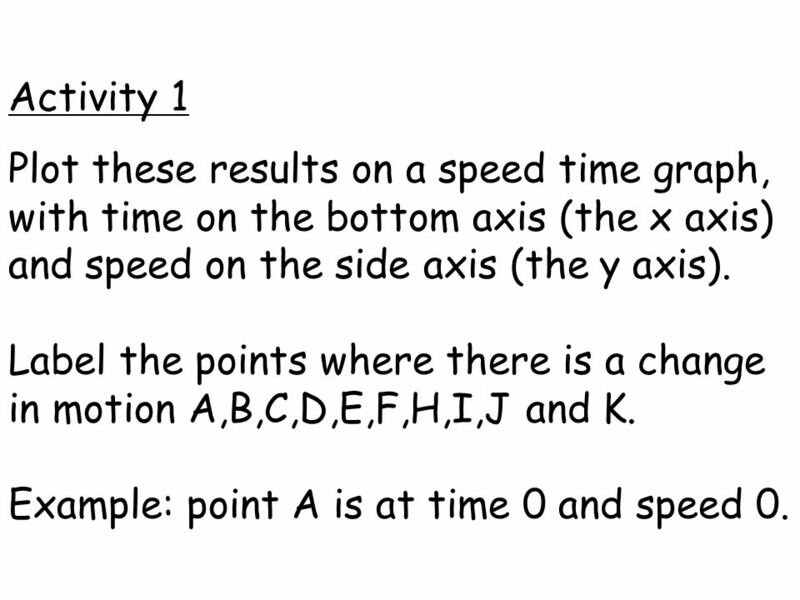 Label the points where there is a change in motion A,B,C,D,E,F,H,I,J and K. Example: point A is at time 0 and speed 0. 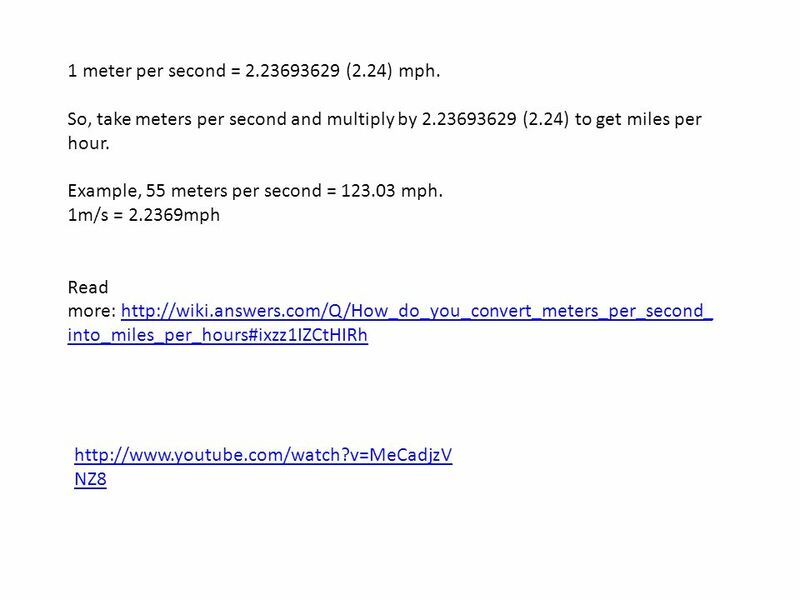 15 1 meter per second = 2.23693629 (2.24) mph. 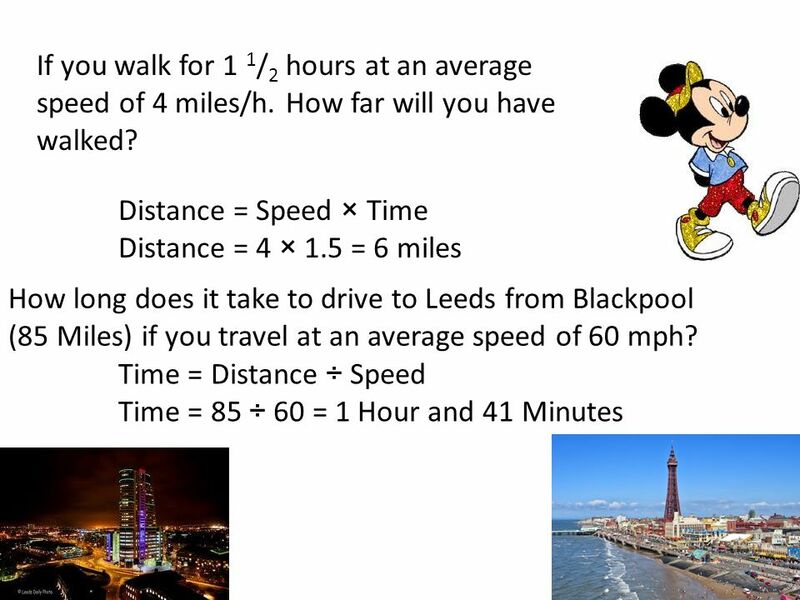 To work out the speed of an object you need to know: the distance travelled; how long it took to travel that distance. 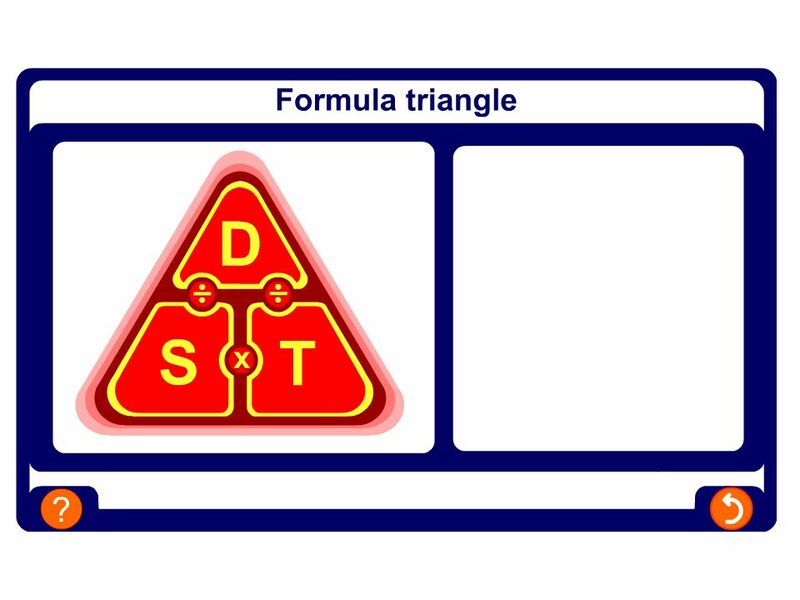 Download ppt "Speed STARTER TASK What is the formula for calculating speed?" 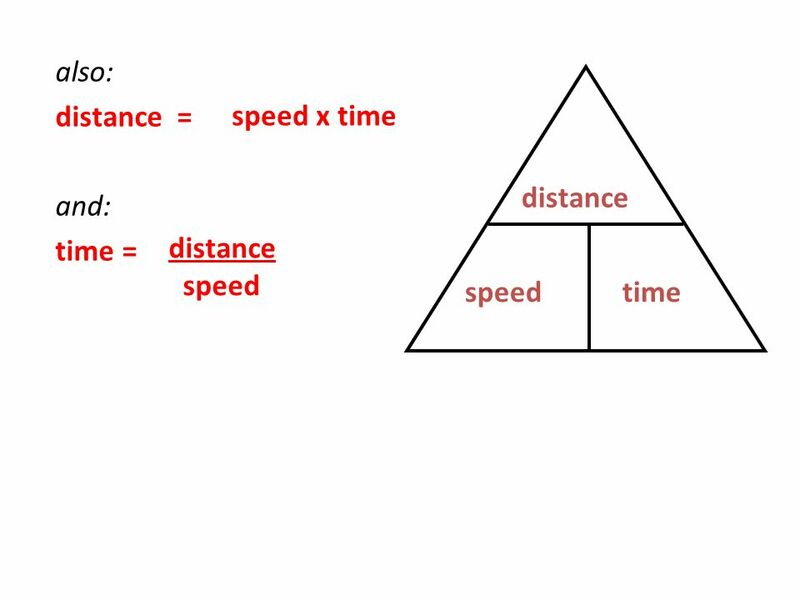 The Length of a Straight Line Path Between Two Points is the..
Chapter 1 Force and motion. 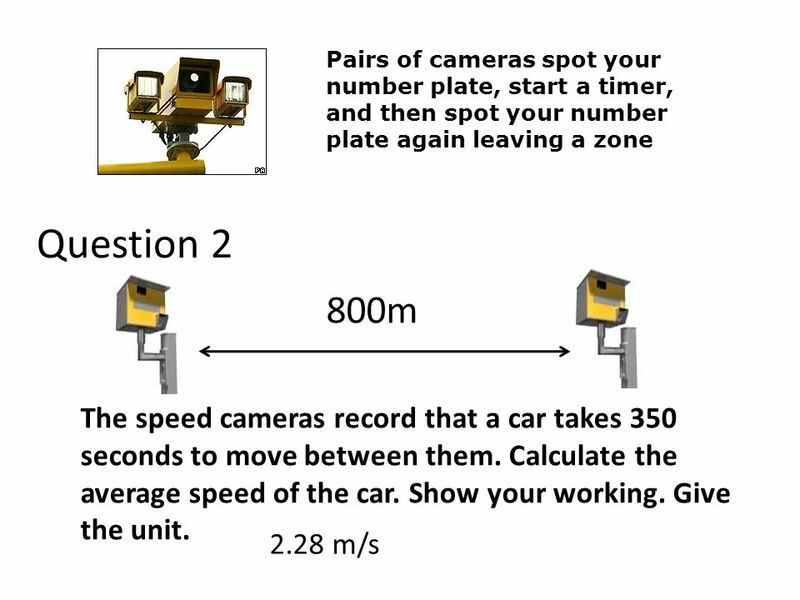 Review Questions: Ch 2 A car starts from rest after 9 seconds is it moving at 81 m/s. 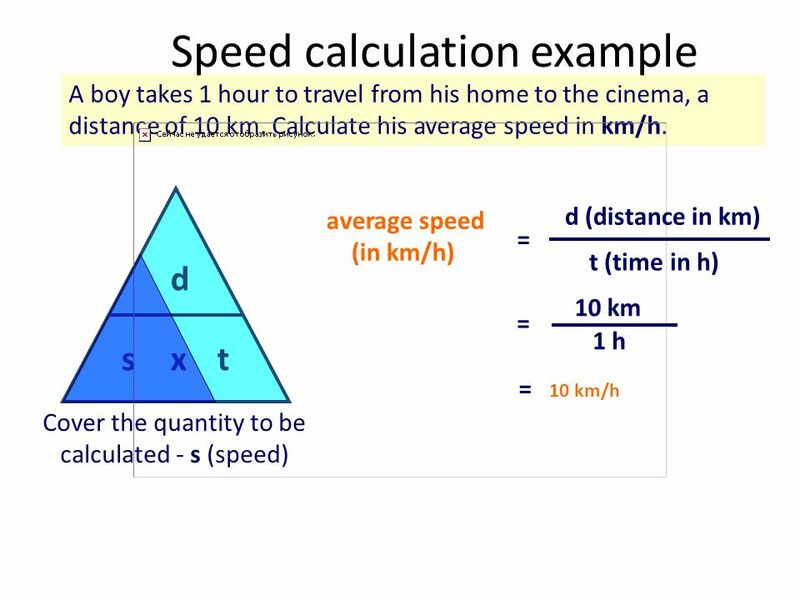 What is the car’s acceleration? 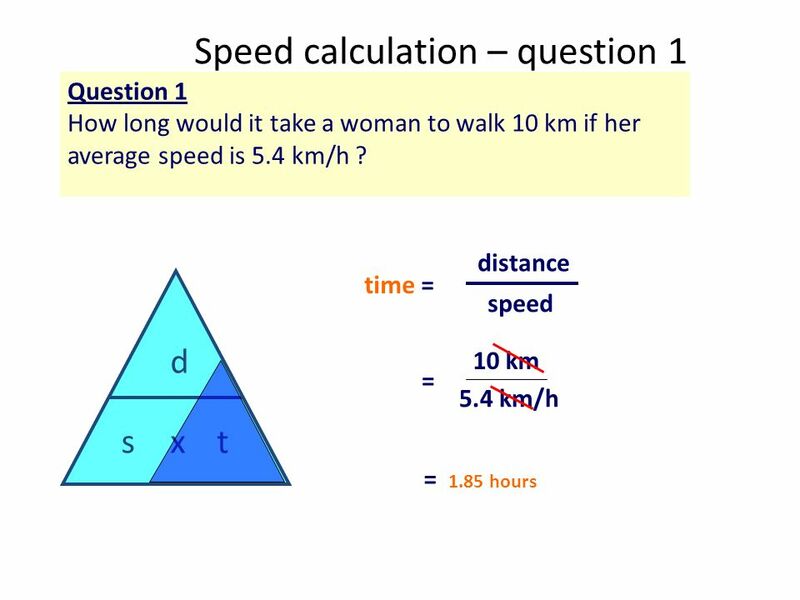 81/9 = 9 m/s2. Objectives After completion, you should 1. 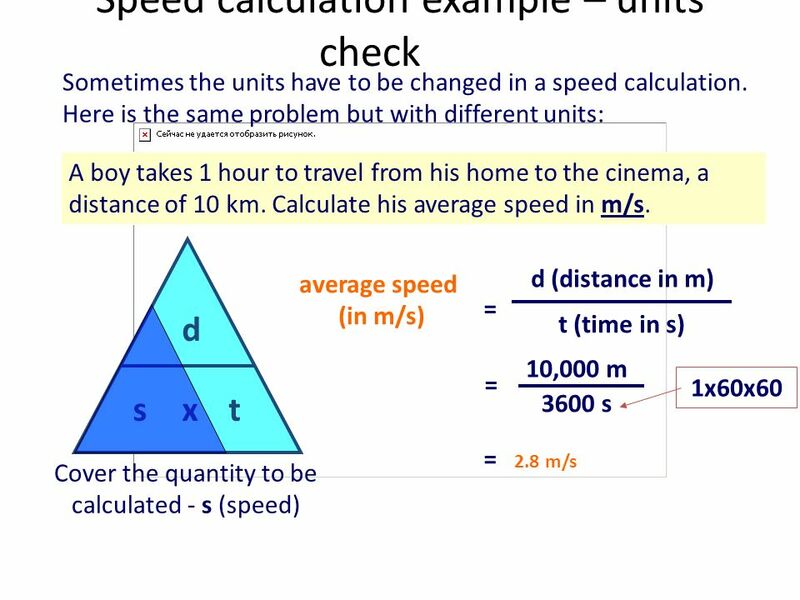 Know the term displacement, velocity,acceleration and deceleration for motion in a straight line 2. Be familiar. 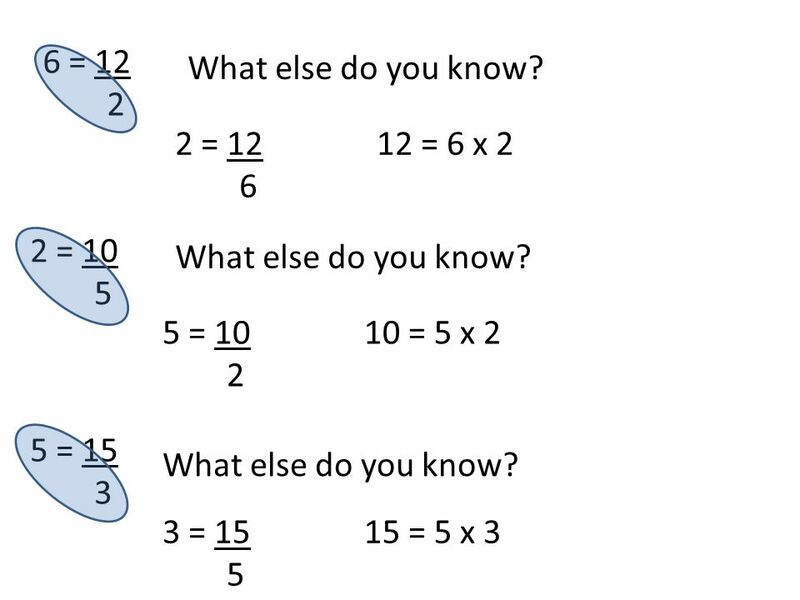 Compound Measures OCR Stage 6. 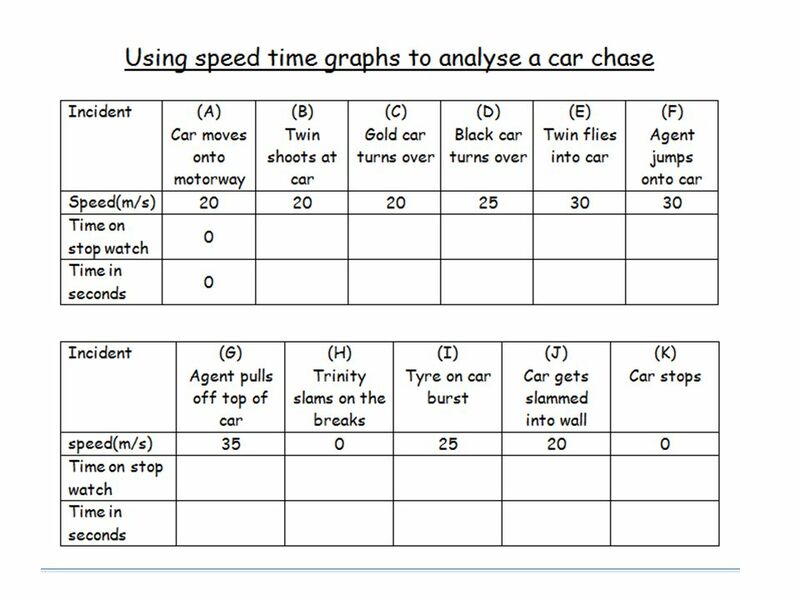 What effects how quickly a car stops? 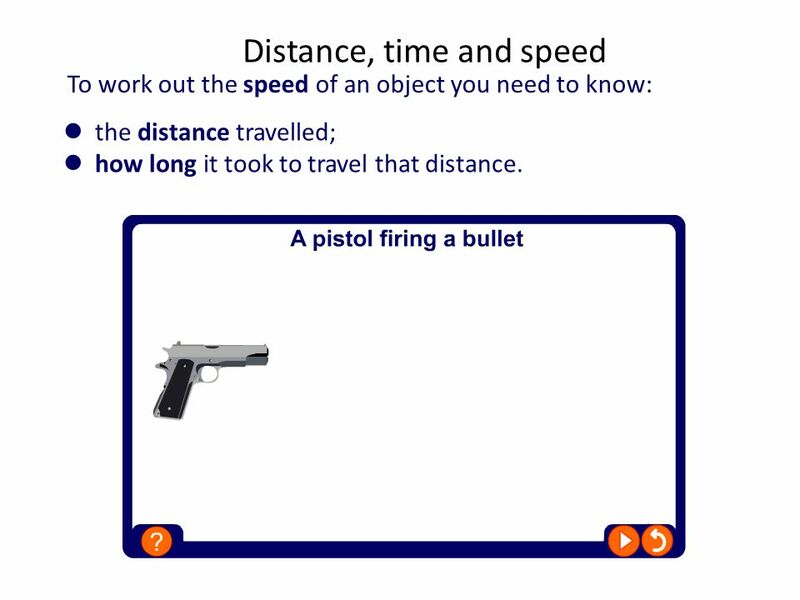 You know an object is in motion if it is changing position. 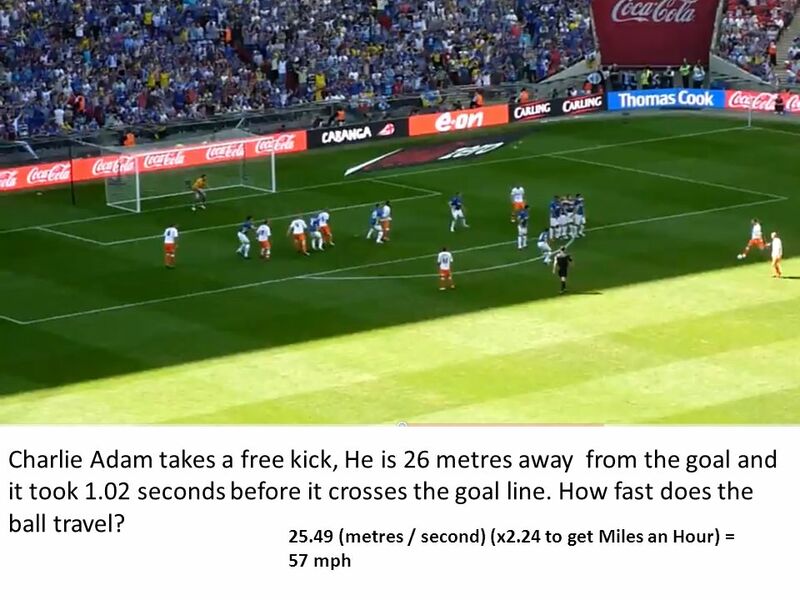 KS3 Physics 9K Speeding Up.